Baidoa the capital of the Bay region; a strategic town in south-central Somalia situated approximately 250 kilometers west of Mogadishu and 240 km southeast of the Ethiopian border. The city is traditionally one of the most important economic hubs in southern Somalia, trading significantly in local and imported cereals, livestock and non-food items. The combined effects of drought and on-going crisis in Baidoa have had a harmful impact on economic stability and livelihoods, leading to a chronic humanitarian situation and major displacements of population. 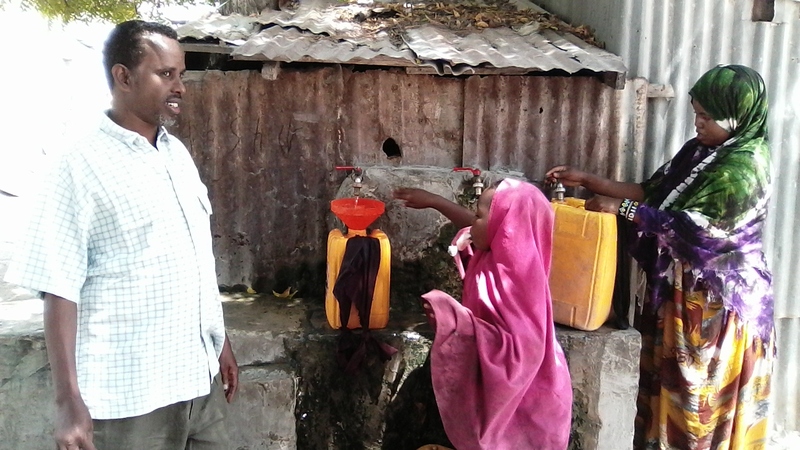 Momentarily Baidoa town and surrounding villages are facing serious water crises, due to low or failure of Deyr 2016/2017 seasonal rain. Similarly, the seasons harvest has almost failed resulting massive influx of new drought induced IDP’s arriving in Baidoa town since end of Dec 2016 and still ongoing. Since the start of 2012, Somali national army supported by Ethiopian forces took over control of Baidoatown from Al-shabab militants. There have been minimal or no inter-clan conflicts observed in the recent past, however due to the drought, conflict over limited water resources is very likely Due to the failure of seasonal rain. Local cereal production and availability of cereal in the market has declined significantly well below average. Vegetable farmers’ production in the city is equally declined. Somali Federal President Mohamed Abdullahi Mohamed (Farmaajo) has visited Baidoa, to assess the effect of drought and famine. The president has appealed to the world to scale up their effort in this devastating humanitarian situation. Security situation in Baidoa is stable, there is no any reported incident or killing on civilian or government officials occurred in Baidoa town. The battle ground for Goof-Gaduud between Government and Al-Shabab is ongoing. Both sides had suffered casualties. Goof-Gaduud was retaken by Al-Shabab. The City of Baidoa is under curfew after 6pm, and there is no public transportation available after the Maqrib Prayer (which is between 6:08pm-6:15).After the South West State parliamentarian selection process to the federal government, and the Somali Federal Government election many of the state’s political figures have been appointed as a Federal Ministers or Administrators. Thus, change of political seat within the State of South West occurred. 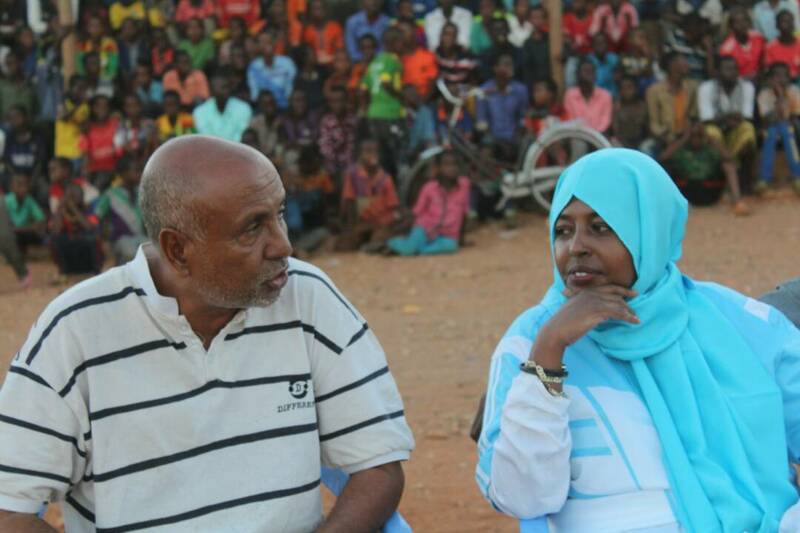 For Example, Governor of Baidoa was appointed as Somalia’s Minister of Defense. His position remained vacant with temporary governor in charge until his successor was appointed by the South West President this month. The New Governors name is Ali Wardhere Hassan. Police and security forces are taking part in the security of the city, and are seen to be patrolling in the streets at any time and until now there have been no incidents have been reported although peace is fragile in Somalia that anything can happen at any time. Activity 1: SOYVGA, succeeded to end positively and transform the result of a conflict that kept the youth divided. 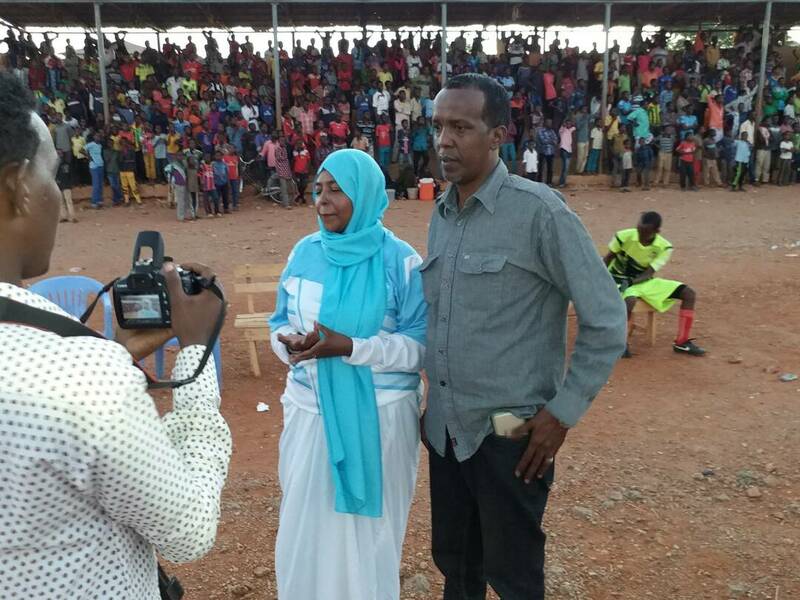 It has carried activism and raising awareness for wider community in the aim of conflict resolution and reconciliation effort between the Youth of Baidoa. The conflict first came to light at the end of February. It had mainly to do with misunderstandings and was based on perception of integration issue that arose between the youth living in the city and the youth in resettled camps. SOYVGA’s effort was to build a strong bond and trust between them while reconciling their differences by promoting a culture of peace and inclusivity in sports, interactive forum of storytelling and friendship get-together in the afternoons. SOYVGA acted as a mediator, in the effort to get the groups together, and had campaigned actively for three months to the groups to sit together and discuss the underline issue openly and peacefully. The effort, included in building a strong collaboration between the youth with common goal and interest that is built on empowering each other. 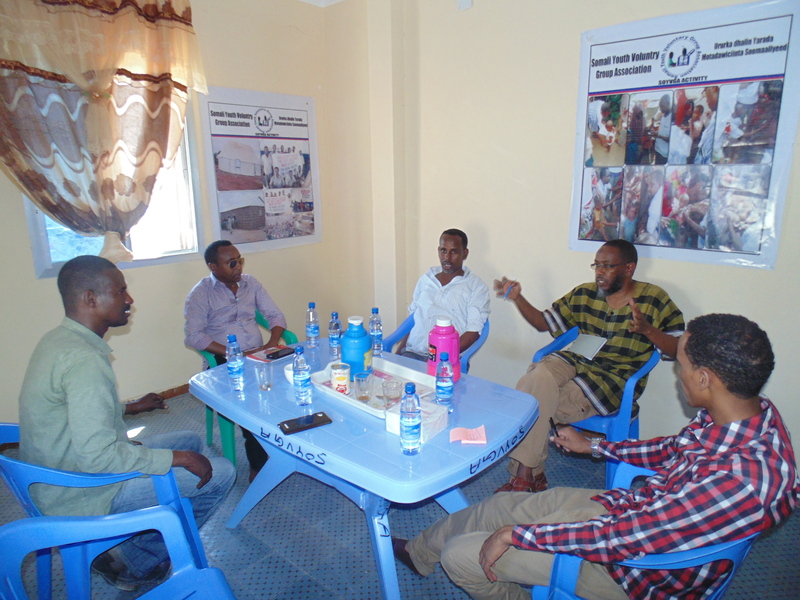 SOYVGA had used mediation mechanism, which aimed at handling the conflict peacefully by establishing and collaborating with two groups of committees to steer the peace-caravan. The peace commit consisted of civil society organizations, and respected community persona’s who are well known for their dedication to peace promotion and conflict resolutions. SOYVGA, had worked while including youth activists, parents, local leaders and camp leaders. At the end, while taking the issue seriously, SOYVGA succeeded to provide counselling and monitoring. All agreed terms are fulfilled and each side abode by the peace and reconciliation terms.It was agreed that both groups will be added to the sporting clubs and will train with them, and that some of the best players will be also taking part in the coming sporting event. That has promoted more integration and trust build-up between the youth. Youth have a formidable way of co-existing and working together when empowered. Their coming together shows what they can accomplish together. 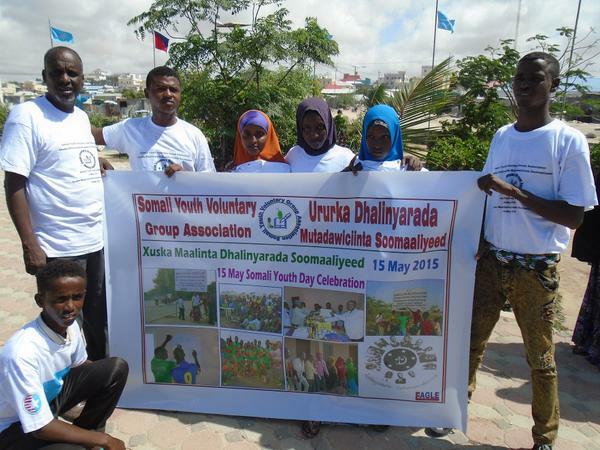 SOYVGA carried the conflict resolution in a careful and with dedications of time and effort. Activity 2: Organize youth participation initiatives in peace building through youth forum and cultural events such as traditional dance poetry on National Youth Day. Activity 3: Organize for event for celebration of National Youth Day, with Key Note Speakers and Sports Persona by holding Peace and Sports Cup. Activity 4: conducted televised sports match with major cable networks and VOA radio with key sports personas as key note speakers but also as supporters of the youth. Many youth activists from different cities where invited, and Diaspora youth were invited also. 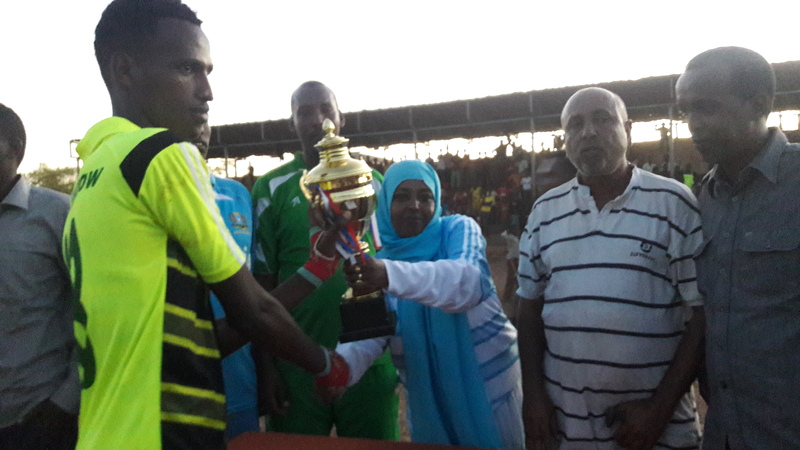 Some of the former retired players of Baidoa came as giving hope and solidarity to the youth. The playing soccer teams had also the opportunity to speak with the journalists. 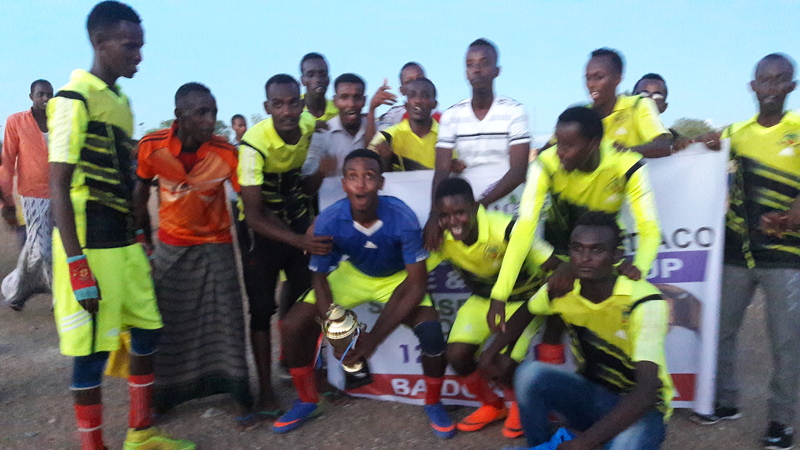 Speaking about their feeling of the day, the players said that they were very happy to know that their voice will be heard and watched around the globe, and wanted to send a peace message to the world from Baidoa. 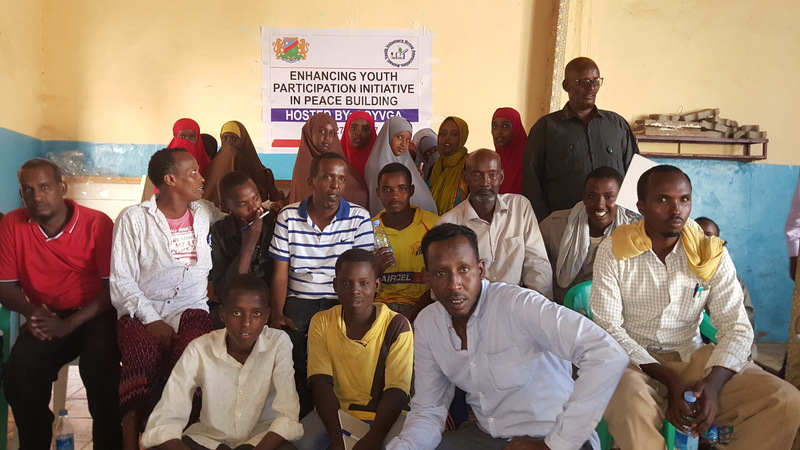 SOYVGA’s aim was to empower the youth to speak about the peace, conflict resolution and create strong bond of friendship between the youth, while training the youth to be the voice of peace. The Televised program and VOA provided an opportunity for the voice of the youth to be heard and watched in many parts of the world, connecting Somalis specifically youth diasporas with the local. It opened another window of opportunity for youth integration through sports and peace and the possibility of connecting youth by holding peace and sports cup nationally and maybe between Diasporas and local. The youth, which consisted of the spectators and the players, performed a cultural dance and songs in the beginning of the game. 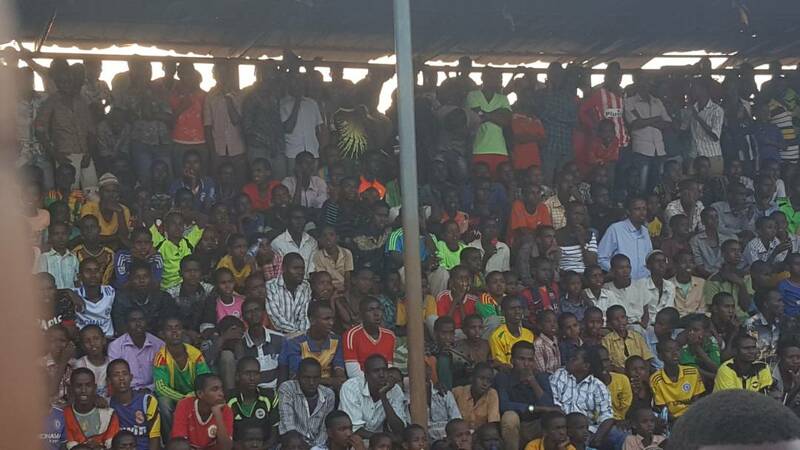 Some youth spectators had also drums and did some brief dances to show support of their chosen team. The general mood in the arena was one that was talked about for many days in the restaurants and youth gatherings but also on Facebook. It created an aura of friendship and moral support. Activity 5: Humanitarian scale up project is still ongoing and SOYVGA is doing its best to reach the hotspot area of Bay Region, by doing distribution of Jerry Cans in many IDP camps, while at the same time continuing the water trucking voluntarily. 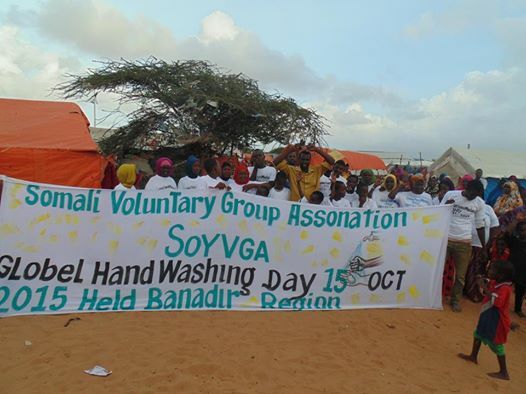 SOYVGA staff are also training with other humanitarian agencies to contain the AWD/Cholera, while promoting hygiene in different areas and collaborating with Baidoa Regional Hospital in their assessment of the re-occurrence of cholera in Baidoa. Activity 6: SOYVGA collaborated and facilitated a conflict analysis report for AFSC, with key informant interview and focus group discussion. Activity 7: SOYVGA conducted Enhancing Youth Participation Initiative in Peace Building forum. 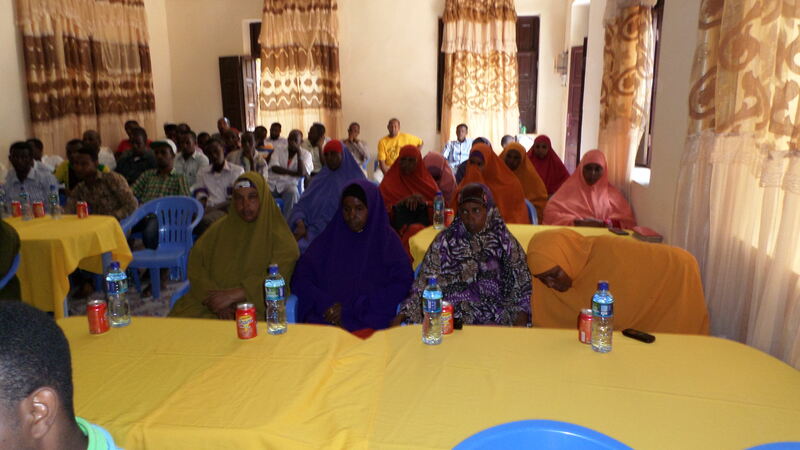 The forum was attended by youth, women groups, elders, government official, and sports persona. The aim was to integrate and mobilize the youth by enhancing and empowering them to be peace builders. 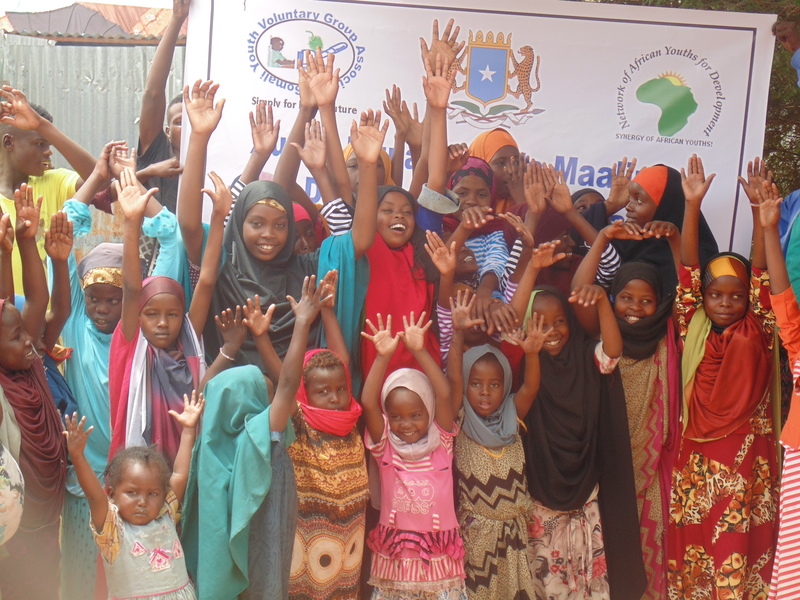 The youth, were made up from different backgrounds: some were resettled youth from Dadaab, others were resettled youth from famine driven regions, and from city of Baidoa. The forum introduced the youth from different areas to each other, and to create collaboration in the effort to have common goal while having one voice of activism. The forum started with training session of how to actively participate and build peace with non- violence and ended with pledge of youth rejecting violence, and promise to spread the message further as peace ambassadors. 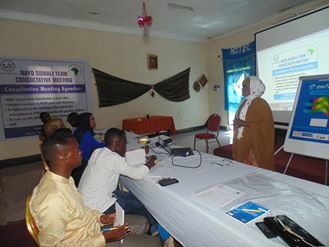 At the request of the youth, the last hour of the forum was concluded by a narrative session of the youth but also women, religious leader, sports persona. As the last hour served as an experience and knowledge transfer/sharing session in activism and narration of the attendees different experience of life and backgrounds, which actually formed as a tolerance, building trust and healing between the attendees. Project end date 31st Aug 2017. 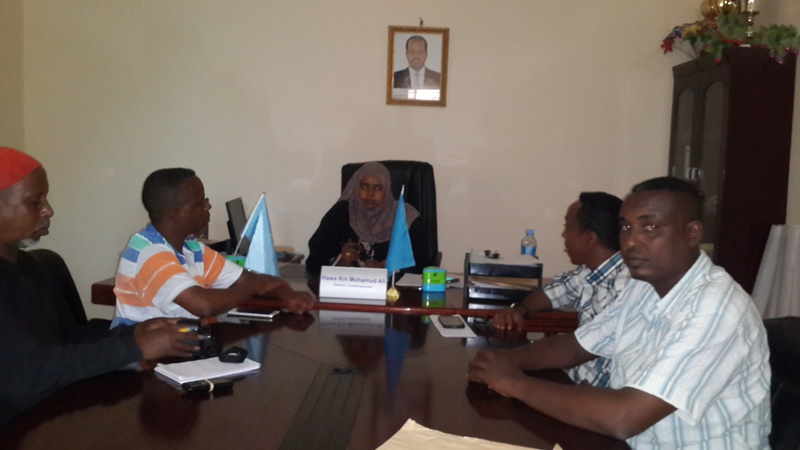 · Conflict Resolution and Peace Building between the conflicted groups. · Collaborated and facilitated a conflict analysis report for AFSC. · Organize youth participation initiatives in peace building through youth forum and cultural events such as traditional dance poetry on National Youth Day. · Organize for event for celebration of National Youth Day, with Key Note Speakers and Sports Persona by holding Peace and Sports Cup. · Televised sports match and interviews with major cable networks and VOA radio with key sports personas as key note speakers. · Enhancing Youth Participation Initiative in Peace Building. · Print and distribute IEC materials (sports gear for the teams playing the soccer match, flyers, posters and T-shirts) with key messages on peace building conflict resolution and non-violence for to be distributed during the National Youth Day. · Collaborated and facilitated a conflict analysis report for AFSC, with key informant interview and focus group discussion. Employment Promotion and Advisory Workshop. Conduct bi-annual radio program for youth engagement with the community and local leaders on how to improve employment for youth. Radio call program with panel of community leaders. Bullet point any additional issues that are not grant specific. 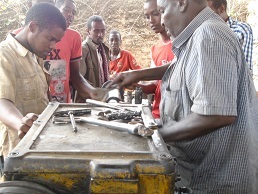 Youth unemployment seems to be the biggest challenge in the region, and despite the effort of de-radicalization of to the youth against extremism, without employment security and effective strategy of keeping the youth active, many will choose to cross oceans or join the terror group out of frustration and loss of hope. SOYVGA is actively seeking ways to improve employment for youth through various forms of talks with stakeholders and government officials. Building the trust between youth and government is also another challenge that is attainable. Previous challenges have been successfully solved between the local youth that were divided into city and resettled youth from Kenya (Dadaab) or from famine driven areas of the region. Issue was solved by gathering the youth through negotiations and conflict resolution of peaceful mediation led by SOYVGA while involving other youth activists, elders and camp and tribal leaders, soccer players. Integration and inclusivity of shared goals and hobbies and interests by holding pre-soccer friendship gatherings and storytelling took place. All parties agreed that they benefit from different backgrounds experience and shared many common goals. All did a pledge called “Youth Against Violence”. In the consciences that modified the youth being jobless a cross the area there has emerged to join the terror group or was preparing to migrate for better future in other countries. 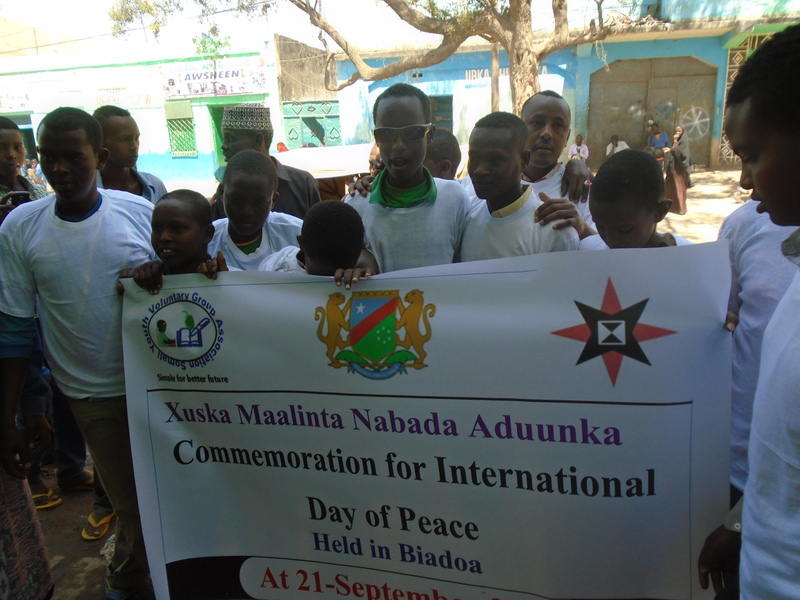 Youth, when empowered can achieve many successes and can live side by side with peace and co-exist while integrated. Empowering the youth can cause many issues to be resolved easily. Many activities such as literacy, sports for life and health and moral upheavals can do many unexpected turn outs. Youth can benefit from more support in their effort to become active citizens and peace builders. Educating the youth, knowledge sharing had a huge impact on their morals. Has the project had any media coverage during the reporting period? Please provide details including dates of publication/ transmission. Televised Live Soccer Match and Cultural Dances from major cable networks and Live Radio of VOA. Have there been any visits from or communications with journalists? Yes, from Major Cable Networks and VOA. Can you suggest any forthcoming events or project activities that AFSC could visit in the next month? · Employment Promotion and Advisory Workshop. · Conduct bi-annual radio program for youth engagement with the community and local leaders on how to improve employment for youth. Radio call program with panel of community leaders.